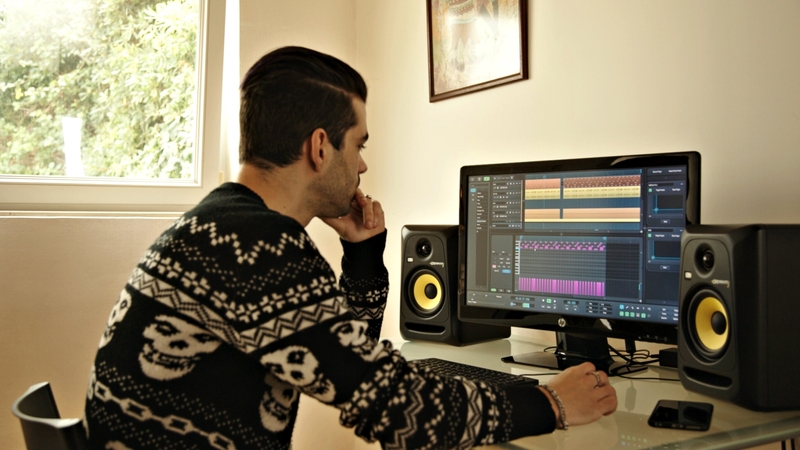 Currently, a wide range of creative audio effects are at our disposal, and they are introducing new ways of manipulating audio. These effects are most commonly multi-effect processors containing multiple effects, ranging from reverbs and dynamic effects, to pitch manipulation and so on. Pursuing this further, I came across an exciting effect which can fall in the category of enhancers. The name of this effect is Texture, and it is created by Devious Machines. Texture, in its essence, is a type of effect that manipulates audio dynamically in real time. It is not quite an automatic effect, but it can operate in that way too. Furthermore, it possesses multiple stages, and every one of them is bringing a different kind of modulation of processing. 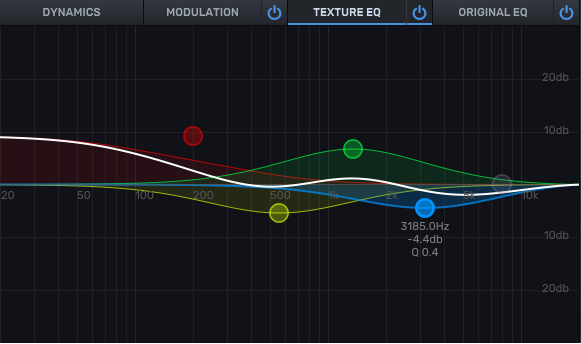 In the next tutorial, I will guide you thru its interface and show you a few practical audio examples. 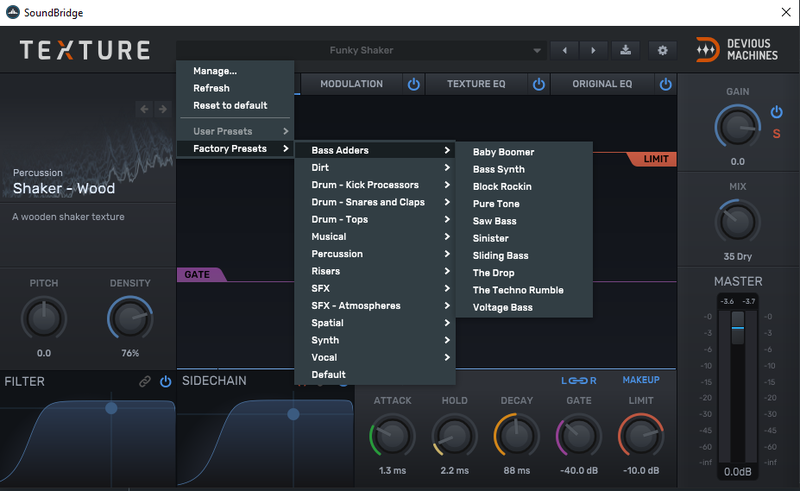 Previously I have made a short loop in SoundBridge: DAW, which contains elements like Kick Drum, Snare Drum, Hi Hats and Bassline. I will add a new instance of Texture on some of the channels in order to show you different ways of utilizing it. So in my opinion, the Texture interface is clean and straightforward. First of all, the middle part includes a visual analyzer, where you can see how the waveform of your audio looks like, and this is the dynamic window. By clicking on the modulation tab, a new window opens. Consequently here you can set the LFO and envelope modulation to just about any parameter included in the VST. Next to the modulation, there is a section with 2 independent EQ`s. 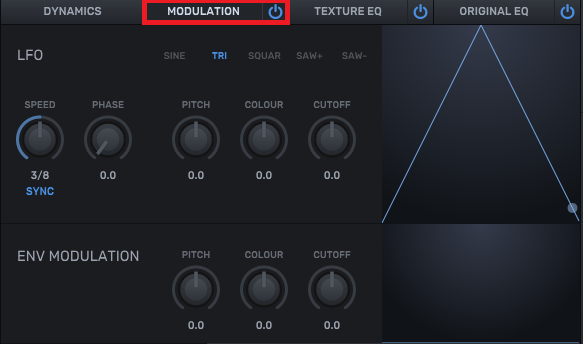 Specifically, one of them is reserved for EQ-ing the sounds coming from the Texture itself and the other for the original sound that Texture is applied to. We should mention that Texture comes with more than 340 presets suitable for enhancing just about any sound, ranging from Kickdrums, Hi-hats, Snare drums, Synths and so on. In the bottom of the interface, we can see two X/Y pads which are controlling side chain and filter. What’s more, there are Attack, Hold and Decay controls followed by Gate and Limit. On the left side of the interface, we can see controls for Pitch and Density while on the right we can see a Gain, Mix and Master controls. 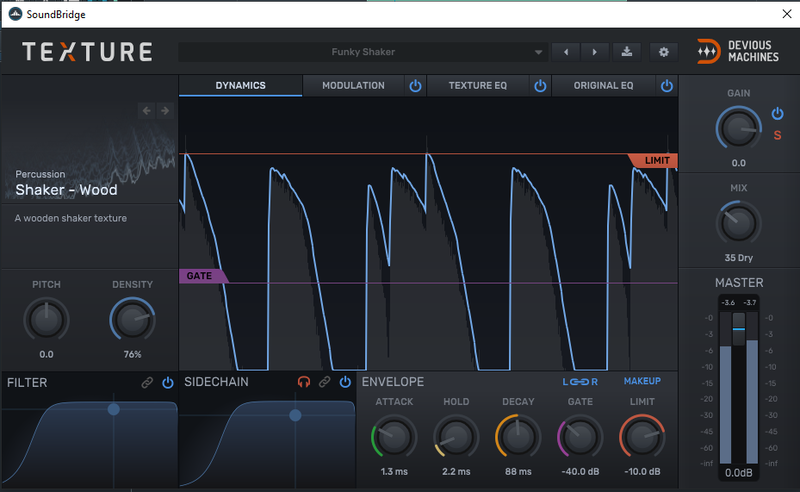 In the next few audio examples, I will show you how Kick Drum sounds unprocessed and then processed with the Texture, the same thing goes for the Snare Drum and Hi-Hat Loop. In the end, we will listen to the full loop, first unprocessed and then processed.